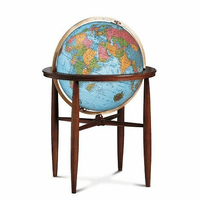 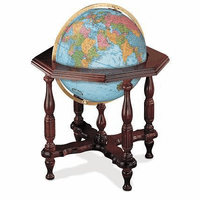 The Statesman floor globe is a timeless classic you will be sure to want for your home or office! 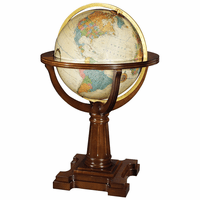 The large 20' diameter globe has an antique parchment white finish, with multi-colored countries and a multitude of mapped cities around the world. 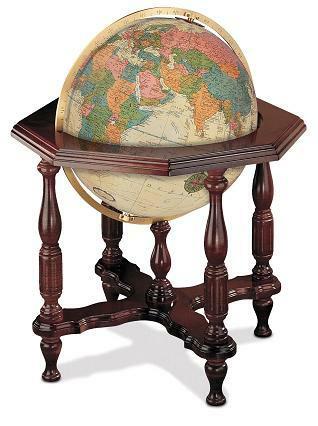 It is illuminated from within, highlighting the features and creating a beautiful effect. 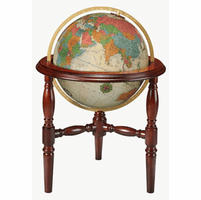 The globe is mounted on an octagonal cutout hardwood stand, attached at the Poles to an engraved solid brass meridian. 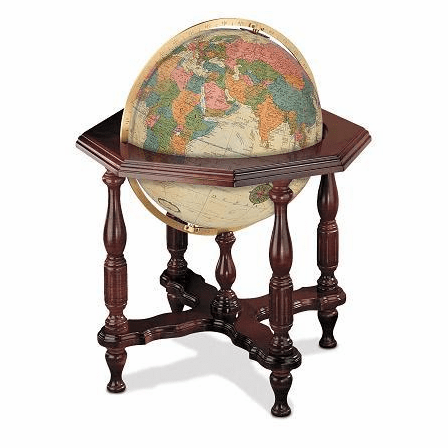 The total dimensions are 28' x 28' x 37', truly a showpiece that will provide many hours of enjoyment.